Source of Life Prenatal Liquid is the most comprehensive prenatal liquid supplement ever developed, scientifically designed to provide optimal nutritional support during pregnancy! Just one luscious, indulgent tropical-fruit flavored capful provides expectant mothers with the special nutrition they require. Fast-acting and easily digested, Source of Life Prenatal Liquid is fortified with all essential vitamins and 8 essential minerals, plus the vital energy of nature's premier whole foods, including apple, broccoli, spinach, tomato, brown rice, apricot and banana—so every daily serving supplies natural energy and nutritional strength. 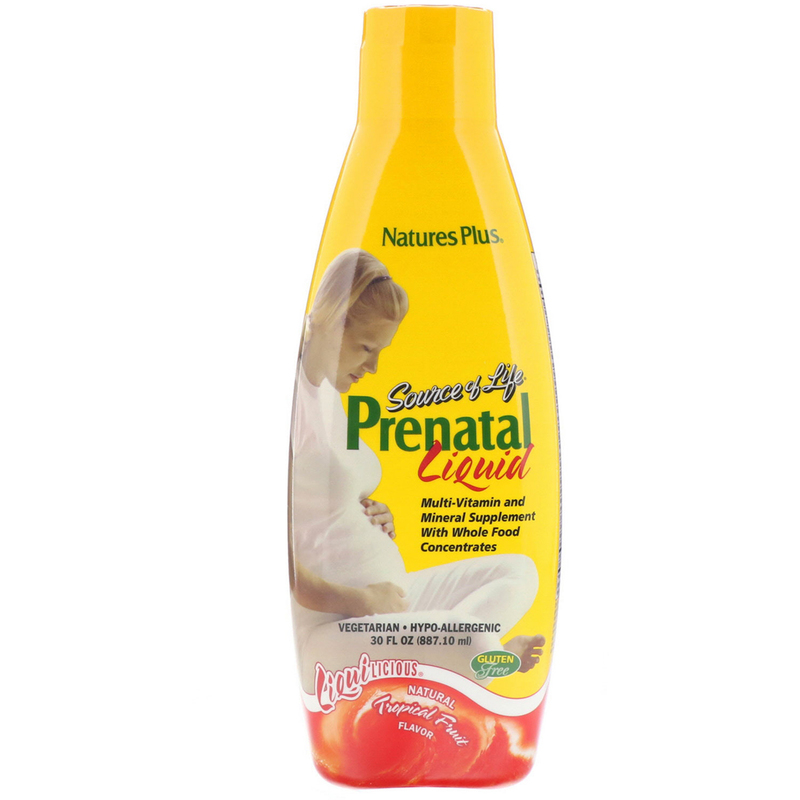 Only Source of Life Prenatal Liquid delivers this powerful, health-enhancing nutrition in a versatile, refreshing liquid formulation that is bursting with succulent, natural tropical fruit flavor! 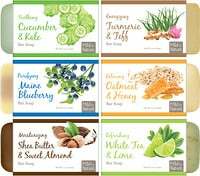 Discover the health benefits and taste excitement of this special "life stage" Source of Life formulation—you and your baby will soon be on the way to enhanced well-being and peak health. Start a new life right with Source of Life Prenatal Liquid! A serving of Source of Life Prenatal Liquid supplies 800 mcg of folate (100% of the Daily Value for pregnant or lactating women). Women who consume healthful diets with adequate folate may reduce the risk of brain or spinal cord birth defects. Shake well. As a dietary supplement, take two tablespoons or one capful (about 30 ml) once daily. Source of Life Prenatal Liquid is so delicious, you can enjoy it straight from the bottle or mixed with a favorite beverage. Do not exceed recommended serving. 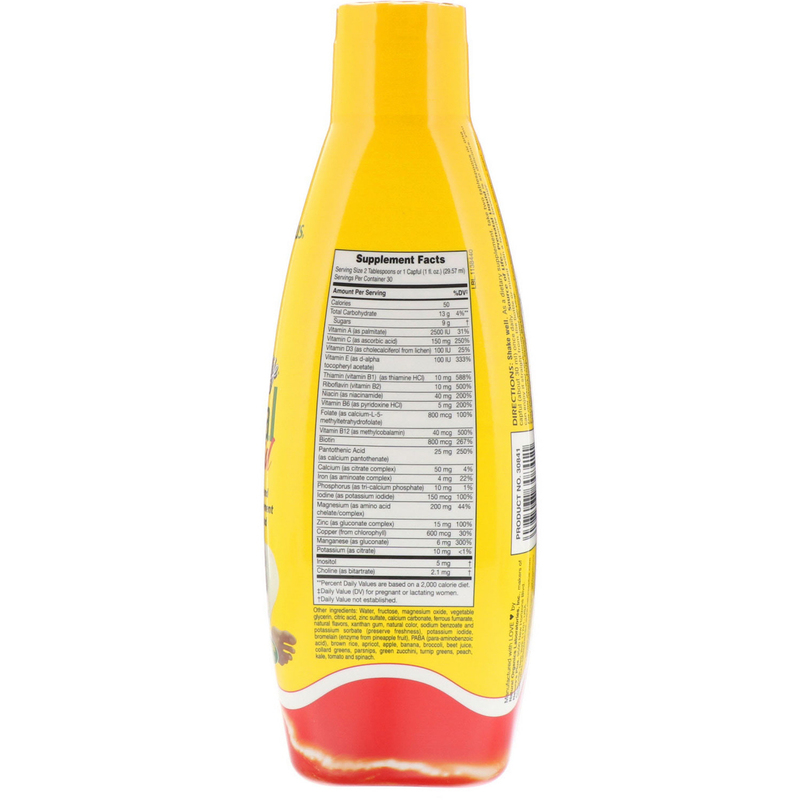 Water, fructose, magnesium oxide, vegetable glycerin, citric acid, zinc sulfate, calcium carbonate, ferrous fumarate, natural flavors, xanthan gum, natural color, sodium benzoate and potassium sorbate (preserve freshness), potassium iodine, bromelain (enzyme from pineapple fruit), PABA (para-aminobenzoic acid), brown rice, apricot, apple,banana, broccoli, beet juice, collard greens, parsnips, green zucchini, turnip greens, peach, kale, tomato and spinach. Free from artificial colors and sweeteners. Free from the common allergens yeast, wheat, corn, soy and milk. ‡Daily Value (DV) for pregnant or lactating women.